We are all looking forward to a great competition this Saturday! Below you will find a schedule for the day, as well as some additional event information. They will be posted on our website and facebook page. All competitors must check themselves in to sign our waiver, get your team number, and collect your athlete bags. Members of the same team do not have to check-in at the same time. We will have an early check-in at CrossFit Riverfront from 6:00-7:00pm on Friday. Saturday check-in starts promptly at 7:00am and ends promptly at 8:00am. If you can make early check-in, it will help things run smoothly on Saturday. In order to ensure the event runs on schedule, please check in on time. Regardless of when you check-in, all teams need to be present by 8:00am on Saturday. Team SuperFit Delaware will be comprised of 3 events with a Final Workout for the top 5 teams in each division. SuperFit wouldn’t be nearly as awesome without our event sponsors providing us with equipment as well as swag for our athlete and winner bags. Stop by our sponsors and vendors tables to check out the great companies we have partnered with. 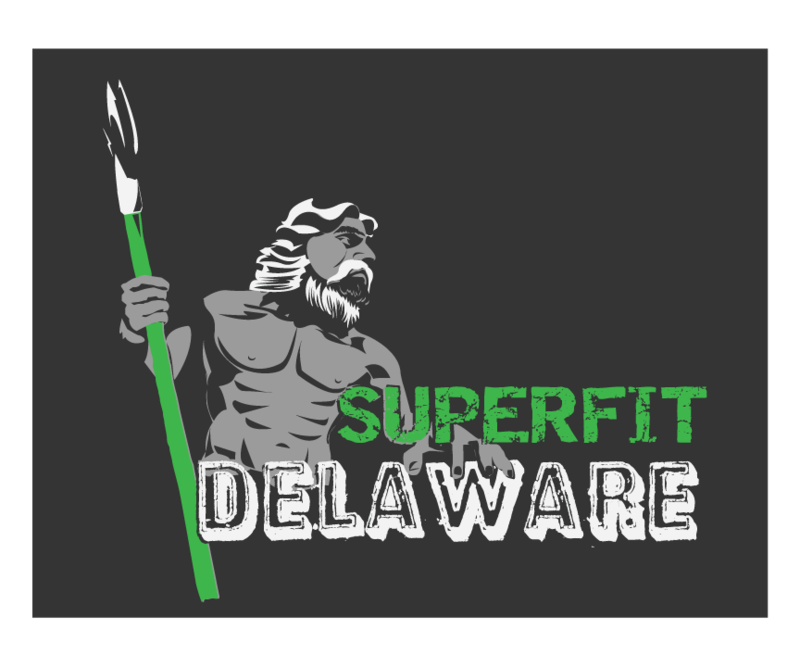 Team SuperFit Delaware Sponsors and Vendors: Hopper Apparel Co., MDUSA, NutriForce Sports, TherOmega Sport, Journal Menu, Juvenile Diabetes Research Fund, Just Be Pain Free, and Custom Fit Meals. After the event, MuscleDriverUSA will be selling the competition bars for $275. If you would like to reserve one of these bars, please email ryan@muscledriverusa.com. Additional competition plates are for sale. Talk to the folks at the MDUSA tent on Saturday! Spectator Fee is $10, cash only. Kids 16 and under are free. All proceeds from contest t-shirt sales will benefit the JDRF. Looking forward to a great competition this weekend! Please feel free to contact me with any questions.